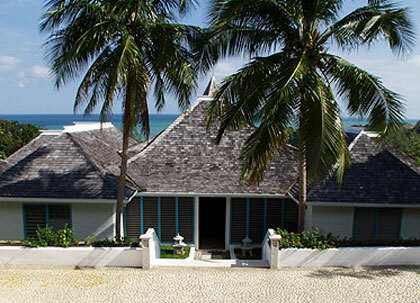 This stunning recently renovated villa, offers breathtaking views of the Caribbean sea and the Tryall grounds. Stylish interiors, attention to detail, travertine marble, wooden floors and a gorgeous terrace with an oversized swimming pool and deck overlooking the sea make Villa Stella one of the most sought-after properties at Tryall. The spectacular entrance and spacious living room also overlook the coast and boast: built-in bar, state-of-the-art stereo system and a covered terrace that wraps around the house giving the option of outdoors dining or lounging. The formal dining room is also exquisitely furnished and the gourmet kitchen has been completely refurbished and equipped with all the latest amenities to ensure perfectly cooked and served meals by the experienced and courteous staff of five. also available on the pool deck.